"Take the best that exists and make it better. When it does not exist, design it. Accept nothing nearly right or good enough." A New World Of Sport Accessories. Our vision is to create state-of-the-art workout accessories: comfortable, convenient, durable and cool. You are ready to go: you’ve got your gear, your favorite playlist and your goal for the workout. It’s not just sport: you’ve worked hard all day and you’ve earned this moment for yourself. Runtimate will give you the best solutions to enjoy this precious time. The idea is simple: to create something new which boasts all the features you are looking for in sport accessories. We spent more than two years in developing an All-in-One magnetic solution, which is tailored for the unique needs of active people. A Simple Innovation. The Best Workout Experience. 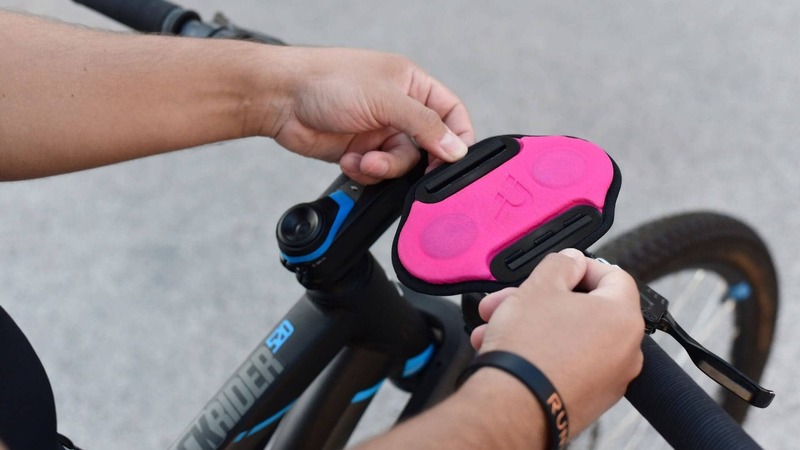 Whether you hit the ground running on foot, sweat it out in the gym or go the distance on your bike, Runtimate magnetic gear revolutionizes how you work out with your smartphone. Our patented magnetic technology makes it easy for you to check the screen of your phone in a blink of an eye, no matter what activity keeps you moving. Get the U-Run/U-Bike for $23,99 (70% Discount on MSRP) when we launch. We will never share your informations.